For a proud coach and one player attempting to rediscover a radiant past, start of the current NHL season has not been terribly enlightening. For three of the opening four games, the face of Arizona Coyotes’ coach Dave Tippett was swept with frustration and anguish. During the recent off-season and throughout training camp, Tippett voiced the optimism of a coach resigned that his hockey squad addressed maladies of the past and ready to right the wrongs of the past. That included addressing the marginal play of goal keeper Mike Smith and an effort to turn back to clock three years ago. That’s when he provided the production and emotion in helping to Coyotes to the brink of competing for the Stanley Cup. Eventually losing in the Western Conference semi-final round to the Los Angeles Kings, Smith put an exclamation mark on his stature as a qualified NHL net minder and served notice that any team with championship ambitions that their path must go through his crease. Now, Smith seems to be treading delicate steps and that with one wrong move, he falls off the precipice. In three starts thus far, Smith dropped two of these games, allowed 16 goals, sports a 5.33 goals against average and burdened by an .822 save percentage. That is hardly the kind of performance Smith said he would deliver in camp and the kind of result Tippett expects. 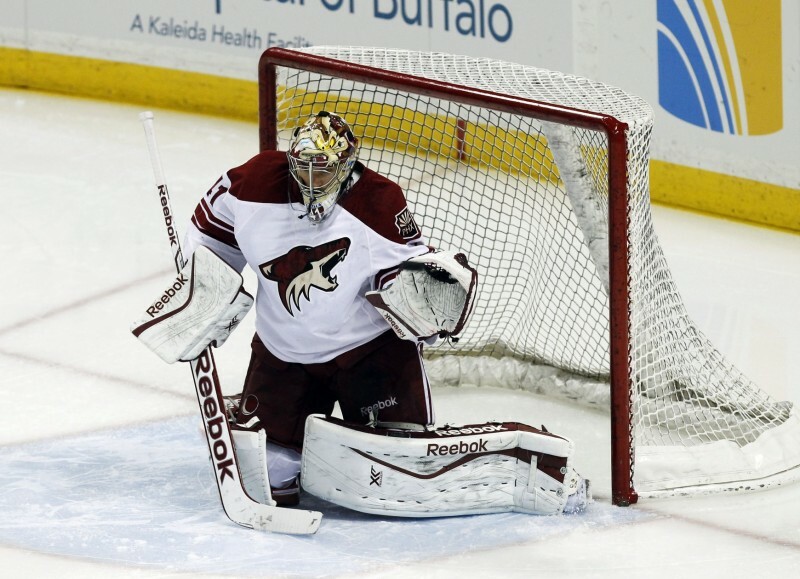 If there is a measure of comfort for the goal tender, Tippett said Smith will continue to start and be the Coyotes’ point man between the pipes. Another early, strong test for Smith comes Tuesday when Arizona takes on the Predators in Nashville. Coming into play Tuesday night, the Predators are the only team which has not lost in regulation time. For the Coyotes, the most important statistic visible is the goals against. In their first four games, they have allowed 18 goals and that equates to an average of more than four per game. With four standing points in the Pacific Division, only the Edmonton Oilers, with three, are lower. Given the highly competitive nature of the Western Conference in general, the Coyotes’ initial road trip of the season, beginning Tuesday in Nashville and stopping at the Twin Cities to take on the Wild Thursday night, could reinforce some things which Tippett would care to forget. If the Coyotes are competitive against the Predators, the road ahead could be filled with more land mines. That’s because, beginning Tuesday night in Nashville, Arizona plays six of their next seven games on the road. The only reprieve is this Saturday night at home against the Florida Panthers. If Smith withstands the next two weeks and is able to turn a frightful start into a vision of hope, the future among Western Conference giants could be less troubling. Then again, and if Smith continues on a path of unpredictability, the Coyotes’ season could dramatically turn for the worst.